Sergio Aguero hit out at Argentina head coach Jorge Sampaoli after a 3-0 loss to Croatia severely damaged their hopes of reaching the last 16 of the World Cup. Argentina have a single point from two rounds of Group D games after Croatia ran riot following Willy Caballero's horrific error that handed Ante Rebic a spectacular 53rd-minute opener. Aguero and fellow forward Lionel Messi were left to watch helplessly in attack as midfield maestros Luka Modric and Ivan Rakitic completed a comprehensive win that sends Zlatko Dalic's side through to the knockout rounds. 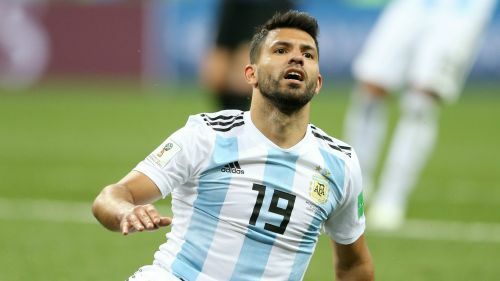 Following the defeat in Nizhny Novgorod, Aguero was questioned about comments made by Sampaoli suggesting Argentina's players failed to adapt to his changes in tactics. "Let him say what he wants," Aguero said, before walking away to bring the interview in the mixed zone to an abrupt end. Speaking in his post-match news conference, Sampaoli had clarified he took full responsibility for a defeat that leaves Argentina on the brink of a shock early exit. Argentina must beat Nigeria in their final Group D fixture and hope other results go their way in the section or their Russia 2018 campaign will be over. Aguero, though, could not hide his displeasure over a shambolic defensive performance as Argentina were roundly beaten by an impressive Croatia side. "I feel anger and sadness," Aguero said. "Although there is still a chance. "Now we depend on others but there is still hope, a miracle. We have to wait and try to beat Nigeria."